Image Credit: Washington State House Republicans. In a move to reduce the cost of textbooks for college students in Washington, a state representative on the House Higher Education Committee has proposed a bill that would award $100,000 grants to six colleges and universities to expand their use of open educational resources (OER). 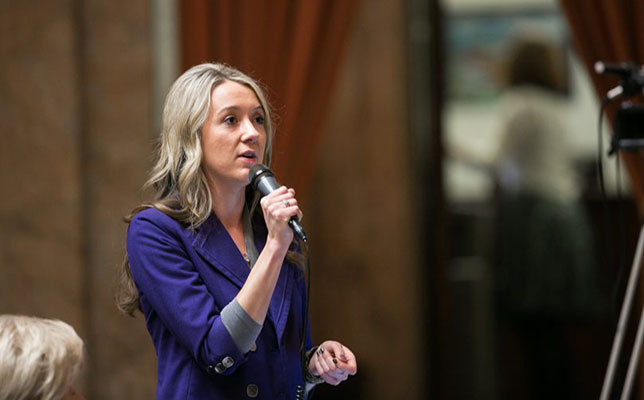 State Rep. Melanie Stambaugh (R-Puyallup) is sponsoring House Bill 1768, which would help enhance existing OER programs by authorizing the Washington Student Achievement Council (WASC) to distribute grants to Central Washington University, Eastern Washington University, Evergreen State College, Washington State University, Western Washington University and the University of Washington. According to The News Tribune, Stambaugh and others who championed the OER legislation in 2015 began searching for comparable, existing OER programs that could serve as models for other higher ed institutions. They identified the University of Massachusetts Amherst as a model program, which was able to save students thousands on textbook costs. House Bill 1768 currently awaits a hearing in the House Appropriations Committee. If approved, grants will be distributed during the 2017-18 academic year.